We at Lotus Weddings LOVE photographing weddings at The Heritage Club at Bethpage located at 99 Quaker Meeting House Rd, Farmingdale, NY 11735. When you talk about a catering hall that has it all, The Heritage Club at Bethpage is on our top 5 for sure! The main ballroom is not only beautiful, but spacious enough to fit over 300 people. The staff, everyone from the matri d, to the bartenders are top notch and the food is to die for. The Heritage Club at Bethpage has so many places to create beautiful wedding photographs, it makes shooting a wedding here an absolute dream. If there was one place in Long Island that we would consider being a house vendor, this would be it. The wedding gallery that is featured here today is one of our favorites. Not only because the bride and groom were stunning. But because they were beautiful inside and out. 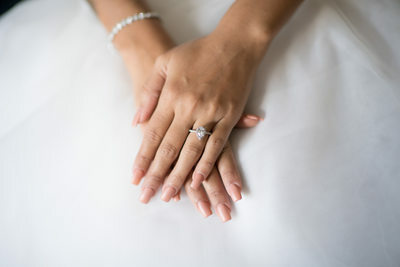 They allowed us to do what we do best, and that is to create modern and candid wedding photography and cinematography. We really think we accomplished just that with this Summer Wedding at The Heritage Club at Bethpage. We started off at the mother-of-the-brides house where we took creative and unique detail photos of the brides wedding dress which she purchased from Bridal Reflections in Massapequa , wedding bands which they purchased at Zales, engagement ring, wedding veil, and you can't forget the stunning bridal shoes. I love taking photos in the beginning of the day of the bride getting her bridal make up applied. It sets the tone of the day and allows us to be creative while still getting candid wedding photos. I took some shots of the bride alone with her maid of honor chatting and sharing a candid moment before her ceremony. Some of my favorite unique wedding photos to take are of the bride alone. Just before we leave the house, I love using the veil to get different and creative images that our clients always swoon over. I always try to enlist the help the the mother of the bride, or one of the bridesmaids in helping the bride to get ready. 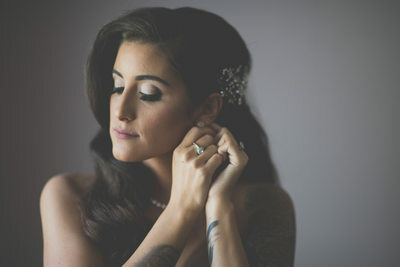 This allows the bride to relax and calm down, which makes her getting ready photos much more relaxed and makes for not only great memories, but great images as well. We left the brides house, about 20 minutes before the bride so we can set up for the ceremony. Since they hired us for photography as well as videography, there are certain things we need to do prior to the bride arriving. Such as setting up the microphone on the groom, as well as the speakers and priest or officiant, if they will let us. At a certain time of any wedding day, we as talented and modern Long Island wedding photographers, must make ourselves known. Such as fun bridal party photos, beautiful and traditional family images, and of course romantic and creative photos of the bride and groom together. But when we are photographing a ceremony, we want to make ourselves as small as possible. The reason for this is we want to make sure we do not affect any emotions that the quest might emote during the ceremony. I love taking emotional photos of an bridesmaid as she wipes the tears from her face as she watches her best friend marry the love her of life. Or as her grandmother watches her granddaughter get married. These moments are timeless precious and too important to not photograph with the upmost care and consideration. The little looks the bride gives her soon to be husband as they are holding hands on the alter as the pastor proclaims them for the first time as husband and wife are why I became a Long Island Wedding Photographer. Creating photos that move people to tears and bring families years of joy are what gets me up in the morning to photograph todays wedding. When we arrived at the venue, we started with the bridal party and family photos, we used the brick on the side of the venue for the bridal party photos. And we used the tall grass areas for the formal family photos. After these images were taken, we moved on to one of my favorite parts of any wedding day, the bride and groom photos! I love these because we finally get the couple alone, we can talk, have fun, laugh, joke, and have a good time. I love using natural light in some photos, it gives the viewer a soft and airy feel. 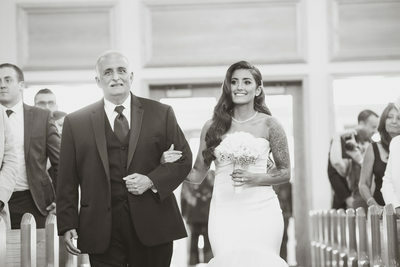 I find, natural light wedding photos are best when they are candid images. I like to use off camera flash when I am looking for something a bit more dramatic. Creating unique and dramatic wedding photos could be my favorite thing to do, ever. I love the looks on our couples faces as they see this incredible photo of them, it is something they might never see again. After all of the must have wedding photos have been taken, we like to photograph the small details of the reception. The wedding cake, the gift card box, the centerpieces, we even like to take photos of the menu, sometimes it has the bride and grooms names on it, along with the wedding date, which is a nice little detail to add to your wedding album. The Heritage Club at Bethpage has a great reception room. Their main ball room is quite impressive. They have 3 walls of windows, that make for great photos, especially when the sun is setting through them in the evening. Once the cocktail hour is over we then go into the reception formalities, we try to capture these in the most candid and natural way as possible. We do not want everyone to be aware we are photographing the days events. We just want them to unfold naturally. We start with the entrance of the bridal party, family and of course the grand entrance of the bride and groom. Then, depending on the structure of the day, we either move straight into the first dance, or go into a dance set. 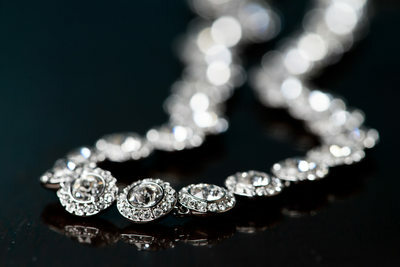 Depending on your style of wedding, some couples like to do all of the formalities in the beginning of the reception. The formalities being, father daughter dance, mother son dance as well as cake cutting. There is no wrong answer, it just depends how you would like your day to be structured.